via apNews – WASHINGTON (AP) — States will be able to force shoppers to pay sales tax when they make online purchases under a Supreme Court decision Thursday that will leave shoppers with lighter wallets but is a big win for states. According to a new report from the Economic Times, the Reserve Bank of India, the country’s central bank similar to the U.S. Federal Reserve, has issued a blanket ban on all cryptocurrency trading. You will not be able to buy cryptocurrency via banks or e-wallets etc. in India anymore as Reserve Bank of India (RBI) has banned them with immediate effect from “dealing with or providing services to any individuals or business entities dealing with or settling virtual currencies”. 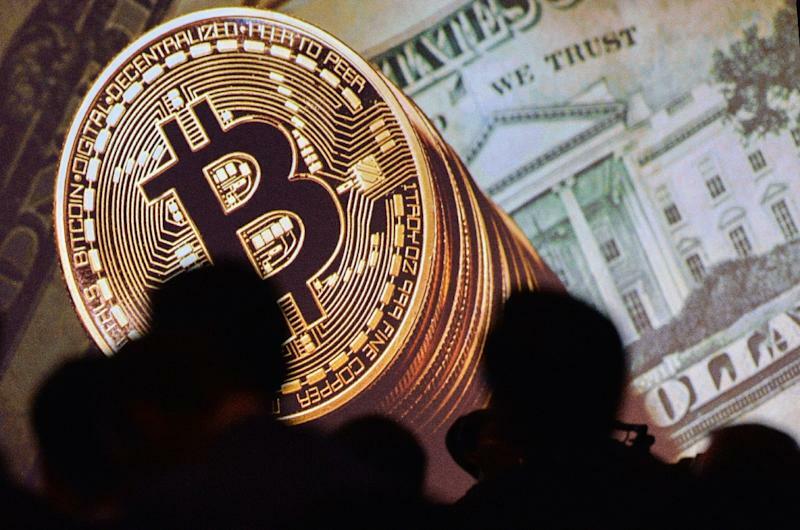 via The Daily Economist – Whether hyperbole or actual fear, the IMF has now raised the stakes in the call for sovereign governments to establish a regulatory framework over the cryptocurrency sphere. 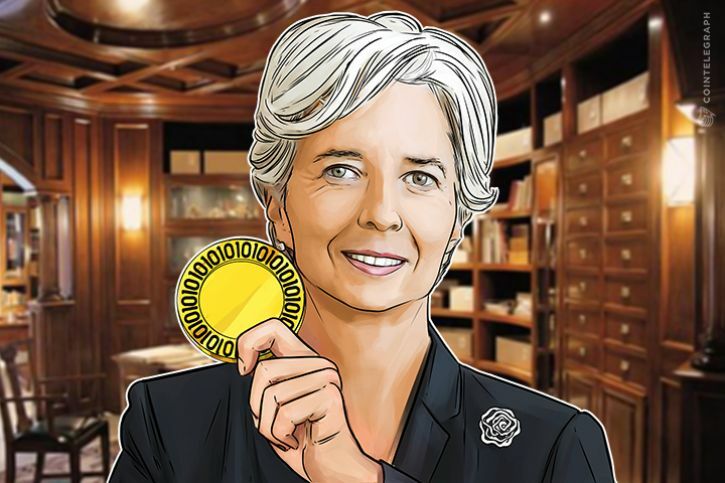 In a report released on March 16 that will provide context to the upcoming G20 summit in Buenos Aires, IMF Chief Christine Lagarde gave the bank’s insight on what they believe should be done to regulate the growing cryptocurrency industry, and at one point intimated that its decentralization could have real effects in helping to undermine the global financial system. Nearly two-and-a-half years after the CFTC officially declared that bitcoin and cryptocurrencies more broadly would be regulated like securities, a federal judge has ruled that the agency does, in fact, have the authority to regulate the fledgling asset class, according to the same rules governing energy and metals, effectively defining cryptocurrencies as commodities. US District Judge Jack Weinstein ruled that the CFTC had the standing to bring a fraud lawsuit against New York resident Patrick McDonnell and his company Coin Drop Markets, permitting the case to move forward. Weinstein also preemptively barred McDonnell and CDM from engaging in commodity transactions, according to coindesk. by belisoful – In lak’ech ala K’in. The first beta release of a NiftyHash 1.0b3 is now available for download. This is the first Mr. NiceHash specific client for the Apple Mac. It supports all the typical functionality and adds a few new elements for usability. This is a Graphical User Interface (GUI) for command line mining software. This makes it easy to use your computer to mine. Run the Benchmarks to analyze performance. Enter your Bitcoin address. If you don’t have one, sign up with nicehash.com for a Nice Hash Wallet. Turn “on” the Miners to start mining. via Zero Hedge – Another dip to be bought as the weekend’s pump’n’dump in Bitcoin has led to yet another new record high this morning at $11,850. This resurgence comes after a week of considerably more active propagandizing from the establishment. CBOE Global Markets said on Monday it would begin trading its bitcoin futures contracts, known as XBT futures, next Monday, and will offer free trading for the rest of the month to help draw in traders and create a market. Both the CBOE and its crosstown rival, CME Group, received permission last week from the CFTC to launch bitcoin derivatives as they go head-to-head in a battle to determine which exchange will come to dominate the market for bitcoin-linked derivatives, the Financial Times reported. CME Group, the world’s largest derivatives exchange, won’t launch its set of bitcoin derivatives until the following Monday. Both exchanges are hoping that rising interest in the controversial cryptocurrency from Wall Street traders will in turn help drive demand for its new derivative products. 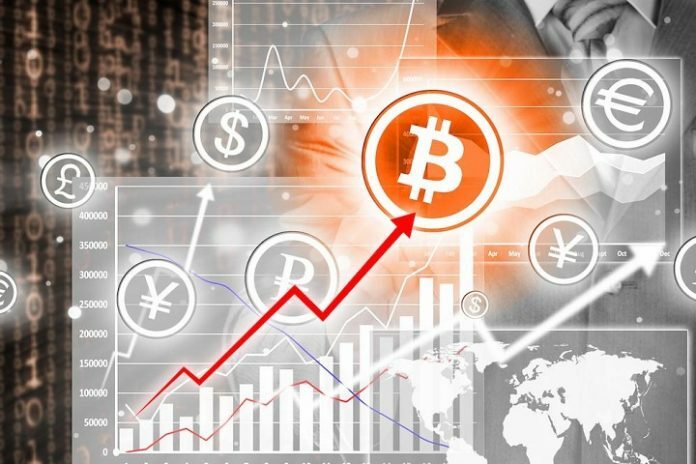 A flood of interest has gripped the digital currency community as Bitcoin’s value has ballooned this year, at one point climbing 1,100%: Early on Monday, the digital currency rose to an all-time high just shy of $12,000 a coin – nearly six times its level from early April. Many institutional investors have been eager to trade bitcoin, but are waiting for a more widely recognized, regulated market. Shares in both CME and CBOE have risen 9% since the end of October as they have firmed up their plans. Ed Tilly, chief executive of CBOE, said there is “unprecedented” interest in bitcoin. Caracas (AFP) – Inside a locked room in an office building in Caracas, 20 humming computers use their data-crunching power to mine bitcoins, an increasingly popular tool in the fight against Venezuela’s hyperinflation. In warehouses, offices and homes, miners are using modified computers to perform complex computations, essentially book-keeping for digital transactions worldwide, for which they earn a commission in bitcoins. While practiced worldwide, Bitcoin mining is part of a growing, underground effort in Venezuela to escape the worst effects of a crippling economic and political crisis and runaway inflation that the IMF says could reach 720 percent this year. Having no confidence in the bolivar and struggling to find dollars, many Venezuelans, who are neither computer geeks nor financial wizards, are relying on the bitcoin — currently valued around $6,050, or other virtual currencies. By: belisoful© 2017.06. 29 (Los Vegas, North America)- A new Robotic bar has been developed in Los Vegas, Nevada called “The Tipsy Robot.” The bartender is a robot and makes the perfect drink and nearly identical drinks each time. This Robotic Bartender doesn’t take tips nor gives any advise/crack-ups. Wages? Forget it. The development fees were probably relatively high for a restaurant but the long term costs would be minimized. The novelty and first mover advantage is perceived as profitable. The Robotic take-over of service jobs has begun. This AI Robotic Revolution won’t stay in Los Vegas. Indeed, McDonalds is replacing 2,500 workers with kiosks and Walmart is cutting 7,000 due to robotic automation. The jobs left for humans are getting cleared out. This is reason alone for “Universal Guaranteed Basic Income” for all “human Persons.” The United States has required Universal Basic Income since 1938. Canada is putting Universal Basic Income to the test. The need for such measures was never so pressing, as the world falls further into unrecoverable debt. The Debt Bubble is the greatest bubble ever designed by International Bankers. (WASHINGTON, DC) Senator Chuck Grassley introduced Bill S.1241 — 115th Congress (2017-2018) -a Bill titled Combating Money Laundering, Terrorist Financing, and Counterfeiting Act of 2017– last May 25th, 2017. The Money Laundering Act makes it illegal to have and transact in cash and digital currencies/cryptocurriencies without registering the amounts and trades with a local bank. 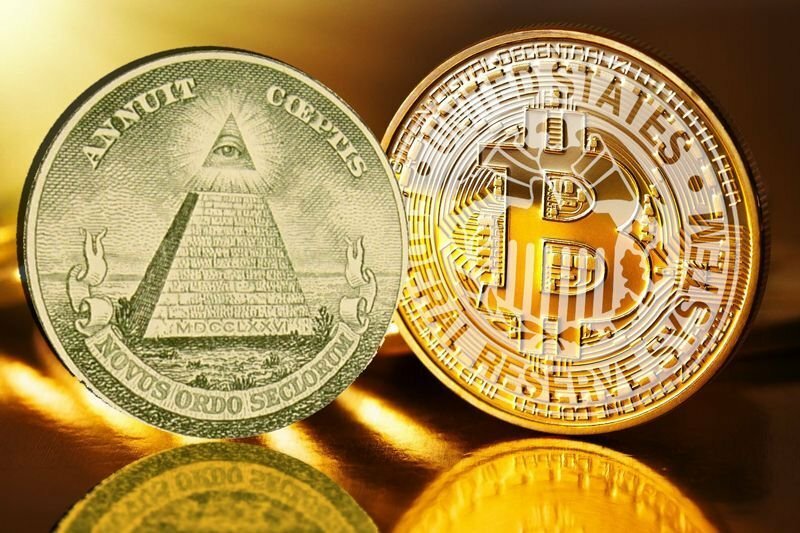 The Money Laundering Act conceptually declares digital crytpo-currency mining, usage, and holding an act of money laundering and counterfeiting, particularly in regards to Federal Reserve Notes maintaining their fictitious Valueless Perception of Worth. Requiring the registration of all digital currency holdings and transactions in the U.S. is an attempt to brazenly legalize (fictionalize) the all digital currency networks under the “legal jurisdiction” of a criminal government. After the United States succeeds, all UN Member Nations interested in continued debt slavery could act to implement such measures, in kind. It is a power grab of the Commons by the United States Corporation over a Constitutionally First Amendment Protected Freedom of Speech Medium (digital currencies) and non-legal trade that governmental corporations cannot control nor profit from (with debt mechanisms). The “Terrorist Financing” label being used by US Senators was to undermine all legitimate commentary on the topic. Indeed, the Act itself is an act of terrorism upon the Digital Commons and Digital Rights. It is a usurpation of value, rights, and property. The Act violates legal precedence in converting a basic digital right into a “license”, regardless of fees, to outright ban digital currencies. The Money Laundering Act only points out the laundering of worth via valueless debt by the Federal Reserve and seems to merely be an attempt to protect the unlawful DEBT-AS-MONEY Racketeering of Central Bankers.